يقع فندق Manor Apartment Hotel في منطقة تتمتع بمعالم كثيرة، وتعتبر المكان الأنسب لاكتشاف هذه المدينة رائعة الجمال و ما يحيطها. إن موقعه الجيد الذي يبعد 0.1 Km فقط عن مركز المدينة يساعد النزلاء على الاستمتاع بمعالم المدينة ونشاطاتها. إن سهولة الوصول من الفندق إلى المعالم السياحية الشهيرة الكثيرة في المدينة هو استثنائي بحد ذاته. إن الخدمات التي يقدمها Manor Apartment Hotel تضمن للنزلاء إقامة مريحة. تتضمن الميزات الرئيسية في هذا الفندق: واي فاي مجاني في جميع الغرف, تخزين الأمتعة, واي فاي في المناطق العامة, صف السيارات, غرفة عائلية. في Manor Apartment Hotel غرف نوم يزيد عددها عن 45 صممت بذوق وعناية لتوفر لك كل وسائل الراحة . بعضها يحتوي أيضاً على تلفزيون بشاشة مسطحة, قهوة فورية مجانية, شاي مجاني, بياضات, مناشف. يقدم الفندق خدمات رائعة كمثل مسار جولف - ضمن 3 كم لمساعدتك على الاسترخاء بعد نهار طويل من النشاط والتجوال في المدينة. إن Manor Apartment Hotel هو خيار ذكي بالنسبة للمسافرين، فهو يوفر إقامة هادئة ومناسبة للاسترخاء. يرجى ملاحظة أن إنترنت الواي فاي متاح دون رسوم إضافية في قاعة الإفطار للنزلاء، وكذلك يوجد جهاز كمبيوتر وطابعة. يعمل مكتب الاستقبال من الساعة 07:00AM إلى 09:00PM من الاثنين إلى السبت، ومن 08:00 AM إلى 04:00 PM أيام الأحد والعطلات الرسمية. سرير الأطفال متوافر في هذا الفندق لقاء رسوم إضافية. يوجد مكان خارجي لانتظار السيارات برسم إضافي لليلة. يرجى الاتصال بممثلي خدمة العقار للحصول على مزيدٍ من المعلومات. إن مكتب الاستقبال مفتوح من الساعة 07:30 صباحًا إلى الساعة 09:00 مساءً في أيام الأسبوع العادية، ومن الساعة 08:00 صباحًا إلى الساعة 05:00 مساءً في أيام السبت، ومن الساعة 08:00 صباحًا إلى الساعة 02:00 بعد الظهر في أيام الأحد. يجب على النزلاء الذين سيصلون في وقتٍ آخر غير الأوقات المذكورة أن يتصلوا بالعقار مباشرةً قبيل وصولهم؛ وذلك حتى يمكن إجراء ترتيبات أخرى. Greeted with a warm welcome. Lovely spaced room however my partner was a smoker so everytime he went down to smoke he had to take the keys to get back up to our level & room which meant the aircon was turned off. Have been here many times over the years. I usually stay in a 2 or 3 bedroom apartments, this time it was a one bedroom. Apartment was well appointed. Bed could have been bigger and was a bit uncomfortable but would stay again. When booking this hotel we included comments that we wanted a quiet room because my wife was studying for an exam. The hotel confirmed the request and, upon check in, asked who was studying for the exam. The room was very quiet - I think we were also lucky with the other room on that floor being empty for most nights. It is an older hotel but everything was clean and worked well. The location is very convenient. 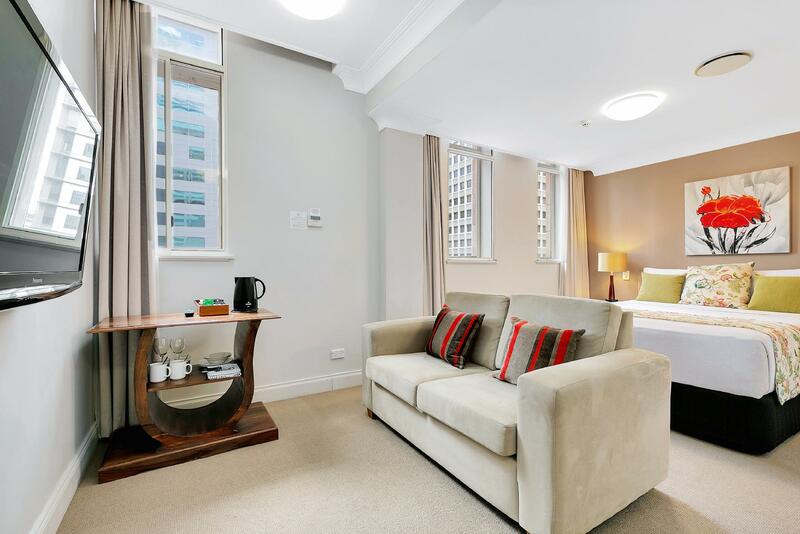 5 minutes walk to the train station, 2 minutes to the supermarket and 5 minutes to the Queen Street Mall. It is also very easy to get taxis and Uber in that area. I only wish it had a gym and a swimming pool. Thank you for taking the time to write such a lovely review of your recent stay. We look forward to your return with much excitement. It is a nice apartment hotel in the city. I stayed 5 nights there. Condition of the room is very nice for a small apartment. I love the location. This hotel is very similar to the Rendezvous Hotel, which I have stayed a few times. The only thing that was a let down was the breakfast, it is the same food (very limited choice) everyday. By day 4, I could not take it anymore and started to skip breakfast. Other than that, its a nice stay. Thank you for staying with us. We really appreciate your feedback and are so pleased to hear that you had a wonderful experience! Rooms are spacious and clean. Staff were extremely friendly and helpful. This is a great place to stay and would recommend it to friends. Close to the heart of all there is to do in Brisbane city. Wouldn't stay in another hotel in Brisbane now. My family and I stayed in the Manpr Apartment Hotel for 3 nights. 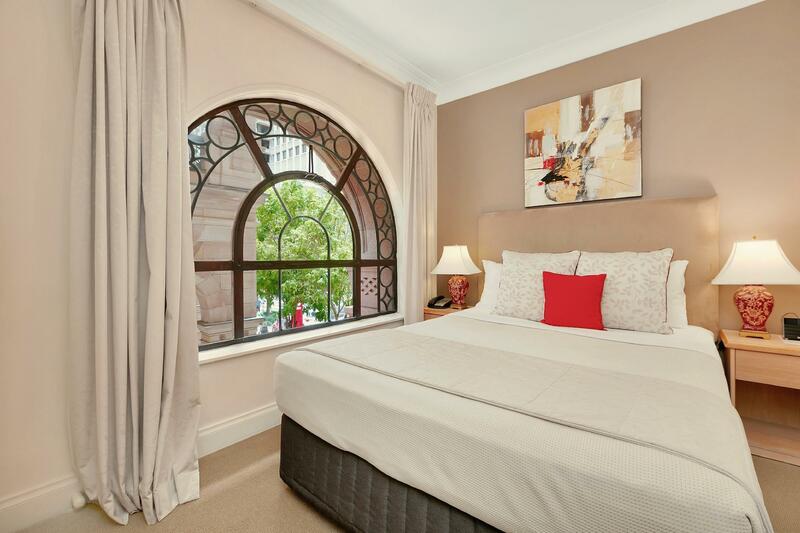 The hotel was located in a prime location in the central CBD area and is close to restaurants, shopping malls and the Central train station. Our 2 room apartment was clean with free wifi access and there was also free breakfast included. The breakfast was simple with bread and cereal provided. If eggs, sausages and more hot food like congee can be provided during breakfast, it would be even better:) Overall, we had a pleasant stay in the hotel. We loved our stay at the Manor apartment. It was the best location next to shopping, restaurants and public transport. You get a complimentary breakfast, free wifi, cable tv, lovely modern rooms with really comfortable beds. Staff were excellent. Will definitely stay there next time in Brisbane. It got everything you need. A home away from home. Fantastic. Everything is well maintained. The room is well kept and clean. It has dryer and washing machine. And if you need to do some cooking if you don't want to eat out, you may do so as it has it's own kitchen. Just they provide bidet in their toilets. But were happy we stayed at The Manor. It is very close to public transport and we we're wake to do a river cruise for free using their hopper. The central train station Is just 2 streets accross and it's only a 5 mins walk from the hotel. We were able to catch the train with out 3 baggages without hassle. Suggest to buy a GO CARD which is available in a convenience store in the corner if you plan to go around. It can be used in the train, ferry and busses. 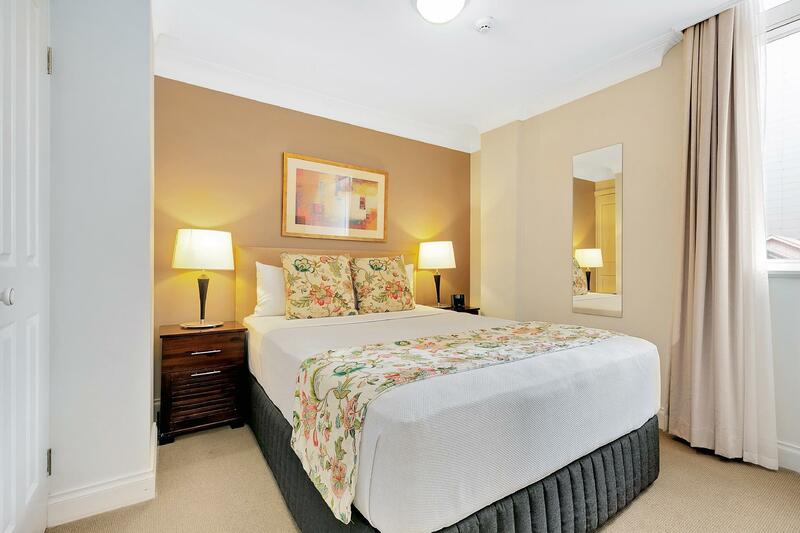 We will recommend this hotel to friends visiting Brisbane. We Wil also not have a second thought in staying in this hotel again. Hard to find anything negative, good service very well priced given my package included breakfast and reasonably fast internet access which is important for me when away from the office. Restaurant was of high quality. Very reasonable price, well equipped and best location. We parked our car at the King George Square. It cost us only $10(from Friday evening to week end price) my husband liked their simply break fast so if we have chance to stay Brisbane city again, we would love to stay here again. 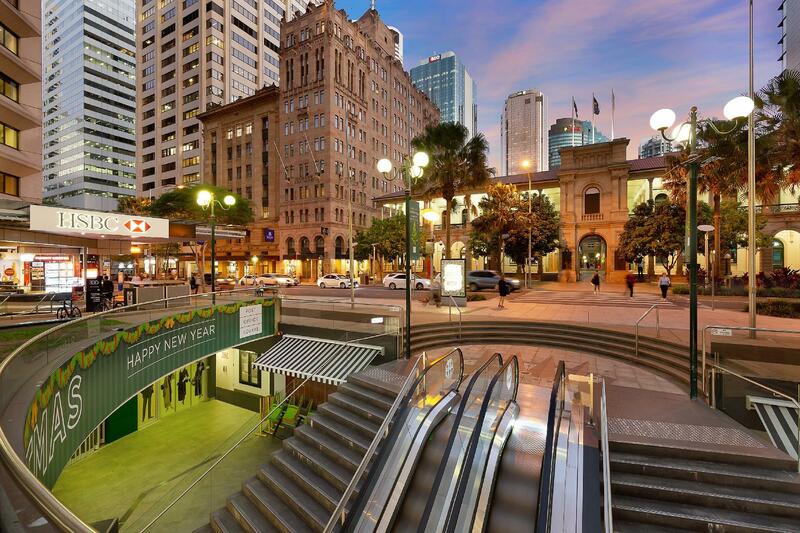 Situated right in the heart of the city, the shopping precinct is just a stroll away, the train station is very near and there's even a woolworths shop in the block. The apartment is clean, appliances are working and hot water is good in the shower. Toiletries are provided, dishwashing powder, even laundry powder! You just have to come in and you are like at home away from home. Breakfast included every morning is a good way to start the day. Included breakfast was a great addition. Staff were very friendly and I was able to check in before the normal time. A pool in summer would be a great option . 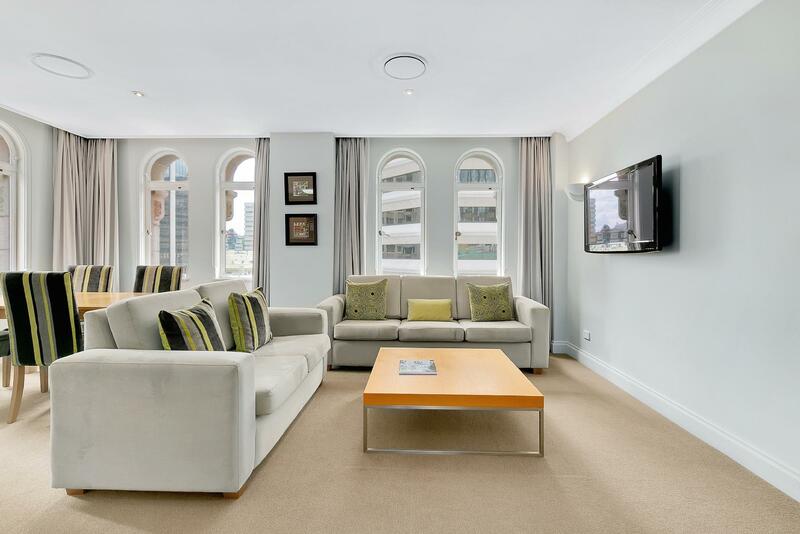 Location on Queen Street and easy access to Central Station was excellent. Despite central location there was no noise. Would definitely recommend. Thank you for your comments regarding our lovely staff members. We are so pleased you had an enjoyable stay with us. We were a group of four friends, staying just one night in Brisbane. Loved the Manor Apartment Hotel in every way. The rooms were very clean and spacious, with everything we needed, comfy beds and lounges, good water pressure, quality products and a reasonable breakfast. Queen St is a quick walk to so many places and public transport is easy to find. I would stay again in a heartbeat. Well done, also very lovely staff! Thanks for a very pleasant stay team. We had never stayed in The Manor before during any of our trips to Brisbane - had walked past it several times though. This time it came up as a special for our dates and BINGO! - it was perfect. My husband cannot walk long distances and The Manor's location was just right for him to get to and from Central Railway station. We also found it a very easy walk for him to a Citycat stop at Riverside. We always go dining when in Brisbane in New Farm or Bulimba or West End or Southbank as we find restaurants in the 'burbs' are sooooo much better and the Citycat and Cityhopper are great ways to travel up and down the river. The closeness to The Mall to The Manor allowed us to go shopping together for a while until my husband was tired and he was able to go back to our unit when tired. No hills! We love going to events or shows. we find Brisbane is our preferred place to see these things as there is always SO many other things to do as well and Brisbane is a really great place to move around. The location of The Manor is so central to any transport you would need to see an event/show. We're booked for another show in early February and we're staying in our new favourite place to stay in Brisbane - The Manor. We had a very good rest , even its at the middle of the busy city its peaceful . Its very comfortable enough for a family with 3 grown up children. Its a place where u feel at home .And will definitely come back to stay here . Great location to all our needs. Quiet room. Double bed and pillows are so comfortable. This was the second time this year my girlsfriends and I have stayed at the Manor Hotel. We are making it a regular visit now as we found the location so central to everything especially the Rivercat so going to different venues was so easy. Great room that was very quiet and the breakfast always lovely with great service. 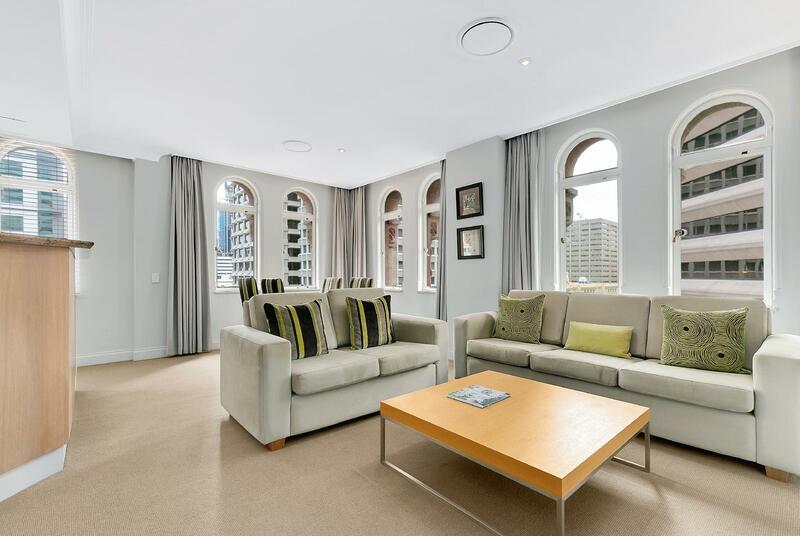 Location, in city and easy walk from Central station. Well appointed and comfortable room. Free breakfast. This is my second stay. Great location in city centre with all amenities within walking distance. The staff are friendly and helpful. Late arrival and early departure were not an issue. The free breakfast is fresh and has a wide selection.